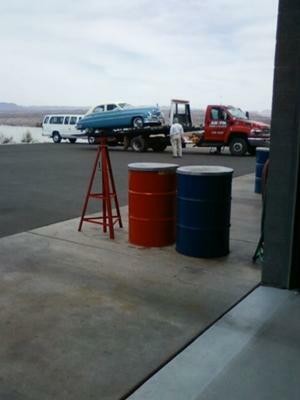 Phillips Auto Repair of Cottonwood Arizona has been in the area since 1974. We are committed to our customers and that commitment shows by the fact that we employ ASE certified technicians, have the latest tools and equipment and back all of our work by a 1 year or twelve thousand mile guarantee. We can perform and repair or maintenance that your car might need and we believe in preventative maintenance. 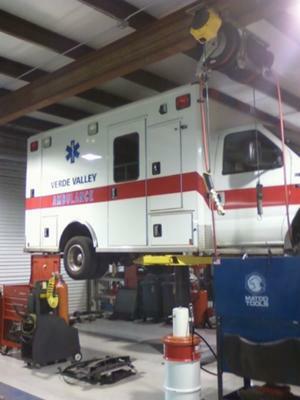 We can do everything from factory scheduled maintenance to engine rebuilds on all makes and models. Our trained technicians can perform any maintenance or repair will the skill needed to make your car last. 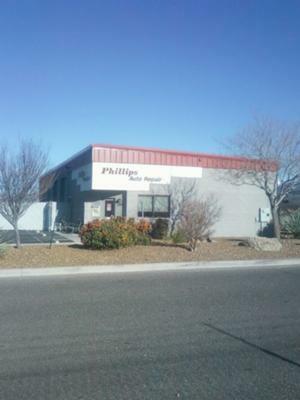 Phillips Auto Repair is conveniently located in Cottonwood at 395 Airpark Road. We are right near the airport. For your convenience we offer online appointments. You can fill out the auto repair appointment form on our website and we will contact you to confirm the date and time and what needs to be done on your car. Whenever you need any type of auto repair in Cottonwood AZ call, stop by or visit our website. We promise you won't be disappointed. This auto repair shop has a good website. It is informative, well designed and seems to be up to date. They offer online appointments which is very handy for customers. Phillips Auto Repair has ASE certified technicians. This is essential to any good repair shop. I would not recommend taking your vehicle to any auto shop that does not employ ASE certified technicians. This shop has industry affiliations. This is a good thing. While not essential, it does show that they agree to the code of ethics for each affiliation. This shop offers a good warranty. Any repair shop should warranty their work for at least 1 year and this shop does that. Some repair facilities have longer warranties, but 1 year is pretty standard. Overall this seems like a good business. I would not have problem recommend them to my friends. If you are in Cottonwood Arizona and need auto repair, check them out and let me know how they do! I love the Phillips family they always take care of me and my babies. I have never used anyone else and do not plan to they are the best. Join in and write your own page! It's easy to do. How? Simply click here to return to Auto Shop Directory Submission.